This video is a coaching clinic at your fingertips, designed to help your players succeed. 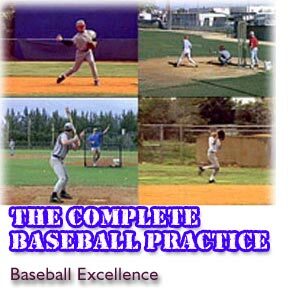 Why do we call it the Complete Baseball Practice Because it illustrates how to develop players in all facets of the game. It provides drills that are necessary for development and it shows you what to look for and how to correct faults and poor technique.